Well done to all players that entered the Open day Scramble format Competition and congratulations to the prize winners. Some great scores out there. Keep a lookout as for another chance to play in December. Twilight starts on Tuesday 9th October with a 5 pm Shotgun start on the front nine. The opening Twilight is a Stableford and Gross competition. Prize giving will be held in the Pohutakawa Lounge and we will have food available on the night. We still have plenty of times available so make sure you book your place. The entry fee for Members is $20 and a Member's friend is $30. Visitors are charged at $40. This year's end of season prize is a trip to Mission Hills China, which includes flights, golf and accommodation for 7 days. Every Twilight you play you get another name in the draw for the end of season finale. For more information about Twilight please check out our Facebook or website which has more information about the rules, prizes and competitions planned for the year. The Senior's Masters Competition - Starts this Wednesday 10th October and runs for three weeks. It is a three round Nett Combined Competition and is a Member's trophy event for all aged 55 plus. To be in with a chance to win sign up in the Pro's Shop. 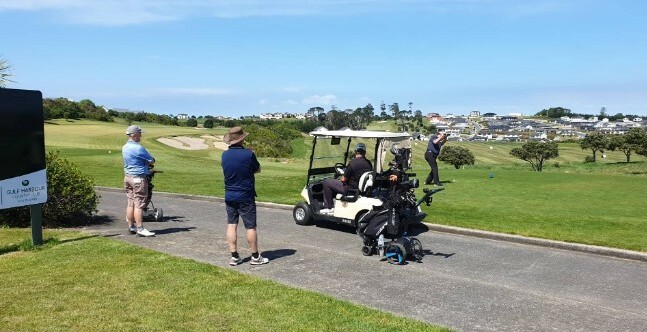 Men's Friday Evening Golf League - Starts Friday 19th October and runs for 10 weeks in support of the Movember Foundation. Rolling tee times from 4:30 pm to 5:10 pm is the perfect way to start the weekend. Entry fee is $15 for members and $20 for visitors which includes a $3 donation to the Movember Foundation. Turn up before your tee time to receive some golf tips from our Gulf Harbour Pro's Cameron and Frazer. For more information or to book your tee time check out the Facebook page or website. Power Pin Event - On Labour day, Monday 22nd October we will be holding a Power Pin event. Each hole will have 2 holes cut into the green with one very difficult pin position that is worth an extra two bonus Stableford points. The competition entry fee is $10 for members and $60 for visitors which includes green fees.Tee sheet is available online or in the Pro's Shop. The cafe renovations are now coming together and we are pleased to announce that the cafe will be opening its doors on the week commencing 16th October. We apologise for any distributions this week as they fit out the cafe. Following the positive feedback received from members about the Pohutukawa lounge being open at the weekend, we have decided to continue opening the upstairs bar for members on a Saturday and Sunday from 11.30 am until 6 pm. On Monday 22nd October the Pool and Gym will be closing at 6 pm and so members will need to be out of the building. 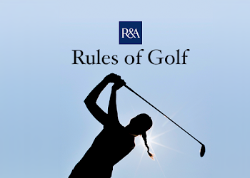 Grab a copy in the Pro's Shop of the R&A rules of golf handbook which will be effective from January 2019.